One of the best books on Operation Torch and subseqent operations. I highly recommend it. I thoroughly enjoyed this account of an often overlooked theater of WWII. I thought the author used a good combination of narrative mixed in with some personal stories from the soldiers. Just FYI, this book does not cover the entire North Africa campaign, but specifically the American involvement from late 1942 and after. I was unaware of how ill-prepared we were as an army and did not know much if anything of the French fighting with the Germans in North Africa. Helps to place Casablanca in context . Enjoyable read. 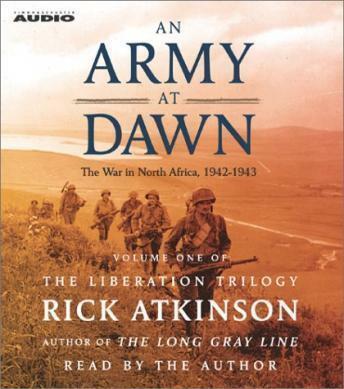 A very interesting historical look at the Allied invasion of North Africa in '42-'43. Not as many personal stories of individuas as Stephen Ambroise. This is much more of a historical look at the decisions and the decision makers as opposed to the ground soldiers. I enjoyed it.